Celebrates Their NEW Office Location! As of May 1, 2018, Greater Riverview Chamber of Commerce (GRCC) offices are located in Suite 102 of the CenterState Bank building located at 10101 Bloomingdale Ave (SE corner of US Hwy 301 and Bloomingdale). The new offices were celebrated on May 15th with an official Ribbon Cutting Ceremony attended by over 100 GRCC members and visitors from the community. In addition to guests being provided tours of the offices, they also enjoyed plenty of tasty food and drink provided by GRCC members Coastal Catering, Leaven Brewing Company, Winthrop Liquors, Petite Madelyn's, LeAnne's Old Fashioned Cookies and Nothing Bundt Cakes. Also, on hand for entertainment was LaWaysha Thomas’s Magical Mirror from Foto Depot. Special thanks went out to Jennifer Caskey for providing the CenterState Bank lobby to keep everyone out of the rain and to Craig Beckinger, An ABC Events, for the beautiful décor. As always, much gratitude to Ed Booth of Huth and Booth Photography for GRCC photography. 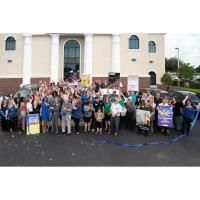 Greater Riverview Chamber of Commerce, in its 52nd year and has grown to a membership of 670. Through its spectacular luncheons, fun events, community awareness and dedication to its Purpose, Mission, Vision and Core Values, GRCC has created an outstanding reputation for leading and supporting this community and particularly its businesses. With this new, larger space the staff will be able to service their members in a more professional and thorough manner. And, the new chamber office will also have a small conference room that may be used by members based upon availability. During the event, Honorary Mayor of Riverview Dr. Bryan Thatcher, Thatcher Properties, delivered a proclamation to the Chamber. In addition to letting people know that he thinks they are #1 in the USA, the proclamation named May 15, 2018 to be Greater Riverview Chamber of Commerce Day. GRCC invites you to stop by and visit their new offices at 10101 Bloomingdale Avenue. Office hours are Monday - Friday 9am – 4pm. 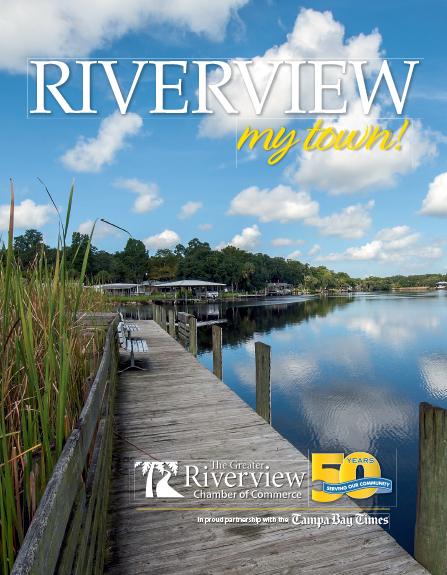 You can reach the staff by phone at (813) 234-5944 or visit www.RiverviewChamber.com for details about local businesses, chamber membership and community news.